Xolo has officially unveiled the Q2000, a mid-range phablet with a 5.5" 720p screen. The device runs Android 4.2 Jelly Beans on a 1.2 GHz MediaTek quad-core processor with 1 GB of RAM. There's 8GB of internal memory that can be expanded up to 32 GB via microSD card slot. Xolo Q2000 also houses a 13 megapixel rear camera with LED flash. The camera app features scene detection and tuning, HDR, face recognition, vertical and horizontal panorama. Furthermore, the phablet packs a relatively small 2,600mAh battery that offers 17 hours of talk time on 2G and 12 hours on 3G. 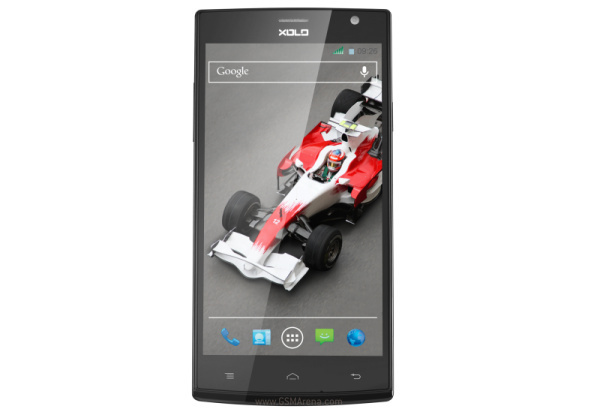 Xolo's newest offering measures 156 x 77.8 x 9.8 mm and weighs about 180 grams. Xolo Q2000 is priced at INR 14,999 (about $240) and will be available in Black. Hello xolo q2000 user i want to buy this phone please suggest me how this phone function is it good to buy this phone or I go for other phone . The basic requirement for me is 5-6inch screen with otg support in a budget .